Know a little one who just needs a little extra something to help him step up his game? 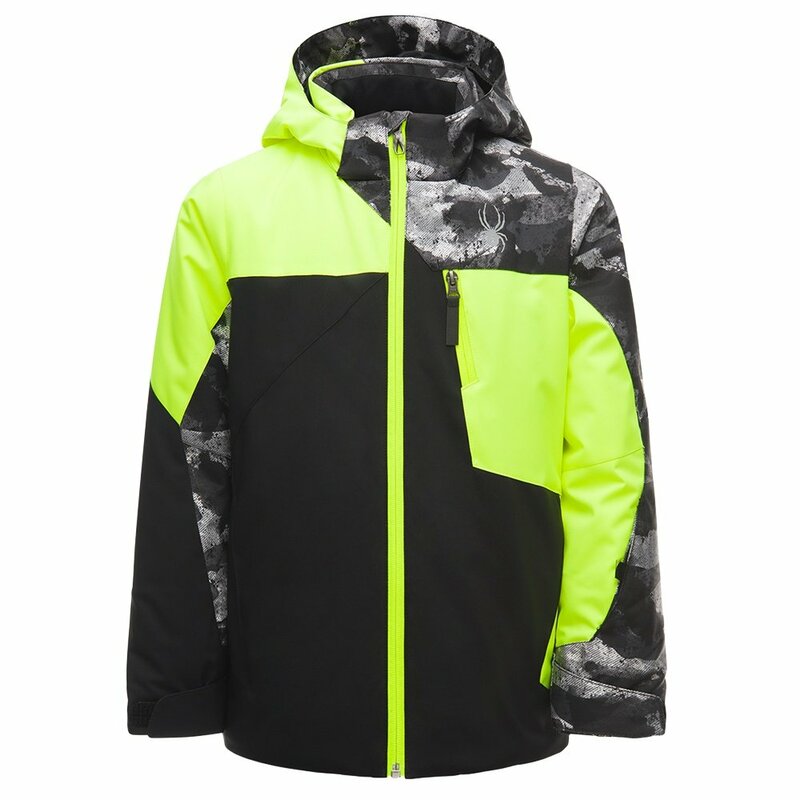 That something may just be the Spyder Ambush Insulated Ski Jacket for boys since it’s comfortable and durable — so he’ll always be down for one more lap. Mid-level waterproofing and breathability ratings keep him dry in moderate winter weather, though the 140g of 3M™ Thinsulate™ insulation is enough for super-cold days. Equip him with the Spyder Ambush Insulated Ski Jacket, and you may find he’s racing down the slopes faster than you by the end of the season. "Is this Bryte Yellow Spyder color as yellow or more a neon green like it looks on the pic"
"Thank you for your inquiry. The "Bryte Yellow" is a neon yellow. We hope this information helps! "